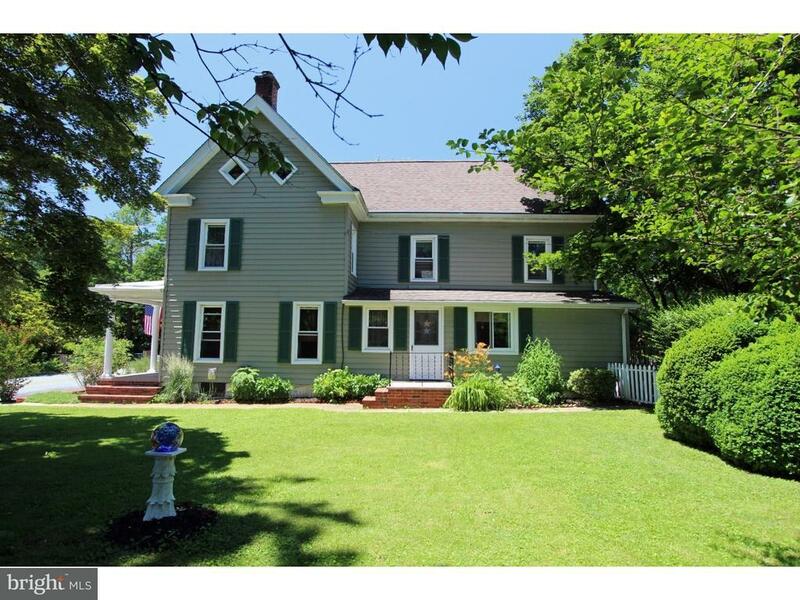 Charming Historic Colonial one Block from the C&D Canal and the mouth of the Chesapeake Bay in Water Oriented, Chesapeake City. Wonderful Water Views along the Canals 17 Mile Biking, Running, Walking Trail extending all the way to Delaware City. Enjoy Schaefers Canal Houses laid-back seafood restaurant featuring nautical decor, a waterfront patio & live bands while viewing Ships from across the world Cruising through the Canal. In season, ride the Ferry to the South Side of the town to enjoy more Restaurants and Shops. This beautiful Home is on a Double lot with a detached 18 x 18 screened Room with 2 Ceiling Fans and built-in Barbecue. Detached Garage & Huge Workshop w/wood stove & half bath with entry from alley behind the property. Updated Kitchen and Baths and lots of Old World Charm. Living Rm features gorgeous Wood floors, Handcraft Wooden staircase, Brick Decorative Fireplace, Wood mantel. Hardwoods/Trim in spacious DR and decorative Fireplace adjoining Foyer to side Entrance. Hurry to see this Special Property in a Special location!